Thanks for shopping at Casa Di Moda. We pride ourselves in our product quality and strict quality control to provide you with maximum peace of mind and always buy with confidence. To ensure you are satisfy and happy shopping with us, we have offer a comprehensive return and exchange policy to meet your needs. Please read below return and exchange policy for better understanding. All customers are advised to read and understand below terms and conditions before place order. Items that does not fit or whatsoever reason (Refer to clause 2(i)). Issues as in materials concern, size issue, difference of symmetry and alignment print are not consider as manufacturing defect. Merchandise must be returned in their original condition and packaging, unworn, unscented, unaltered, unwashed, with all tags clearly attached with any related accessories that were included. Merchandise returned that are scented, soiled, washed, have been altered in any way or do not conform to the above will not be accepted. Merchandises bought during promotion, at a discounted price, special deal, redemption or using discount coupons are strictly non-returnable and non-exchangeable. Please take note on merchandices which are exempted from return and exchange: accessories, shoes, swimwear and underwear, Mum & Babe products and home furnishing. Return and exchange of item for the same order can only be processed once. We will not be able to process the return/ exchange request until we have received your parcel. Please do not ship your merchandise(s) until our further notice of appropriate arrangement. We could not hold responsible for any parcels sent prior to the request of return. 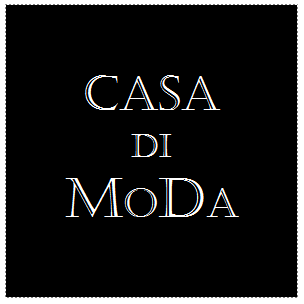 Kindly fill in the Return Request Form (download it HERE) and submit the form to us at casadimoda88@gmail.com. All reports must be made to us within 48 hours upon receiving your parcel. Incomplete request form and report submitted after 48 hours will not be entertained. The form submission must attached with a snap shot of the merchandise defective area or wrong merchandise. We will process your request and inform you the return arrangement within 2 working days. Once we received your item, we will notify you and update you the status after inspecting the merchandise condition. Defective merchandise - Subject to the Approval of Return Request. If your return request is approved, we will initiate the exchange for you and the merchandise will be delivered to you according to our standard delivery period, i.e. ready stock items within 2 business days; pre-order items within 10 business days which subject to custom clearance. You can exchange with any of Casa Di Moda ready stock products at the same, equal or higher price (excluding any postage delivery costs). Should there be any differences of the price, the balance amount must be paid before we arrange for exchange. If your return does not meet the conditions listed, we will not be able to issue the exchange and the merchandise will be delivered back to you. In case of major manufacturing defects merchandises (Stain/Hole/Wrongly Sent), we will absorb the shipping cost. For return and exchange of ready stock merchandise due to does not fit, customer will need to bear the entire cost of return and re-delivery postage. Order confirmed and paid but merchandise is out of stock, provided if customers do not want to replace with other merchandise. The Refund for the above circumstances will be arranged via Maybank2U online fund transfer. You will receive the fund within few days depending of the processing period of each bank. All shipping and handling charges are Non-refundable. The Management reserve the right to accept or reject the return and exchange request.